This highly acclaimed exfoliating powerhouse is made with no animal fat or fillers and contains natural oats which moisturizes, exfoliates and clears the skin naturally. 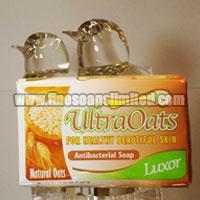 We offer palm oil based Ultraoats Antibacterial Soap of vegetable origin that is available in two strong fragrances. The main ingredient of the Ultraoats Antibacterial Soap is Natural Organic Oats that acts as gentle exfoliant and stimulates blood circulation. 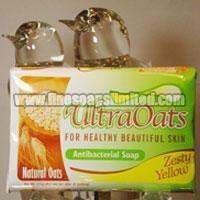 We offer the Ultraoats Antibacterial Soap in two European fragrances namely; Zesty Yellow Ultraoats Antibacterial Soap and Luxor Ultraoats Antibacterial Soap.